The ultra-lightweight External Breathing System (XBS) provides an alternative source of breathing gas in the event of an emergency situation. 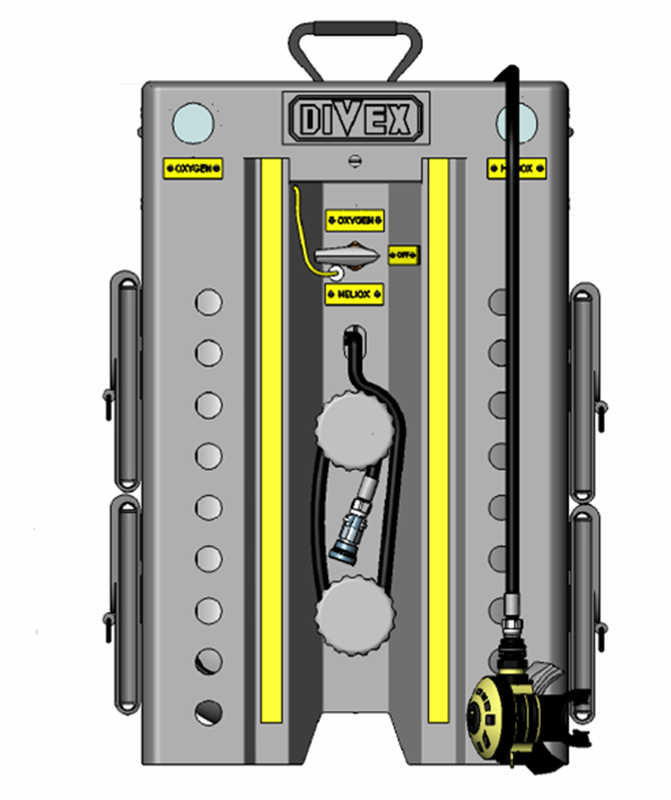 Designed for use with the Stealth range of mixed gas rebreathers, the XBS is used in a similar manner as a “lazy shot” to provide a diver station during decompression. The XBS incorporates a quick connect adaptor integrated for use with the Divex dual mode mask (DMM) or the dual mode bite mouthpiece assembly (DM BMA). With an additional second stage demand valve, the XBS also allows for use with a standard bite mouthpiece assembly (BMA) configuration. The XBS employs composite 300 bar cylinders and is rated NATO STANAG 2897 Class B for MCM-EOD operations. 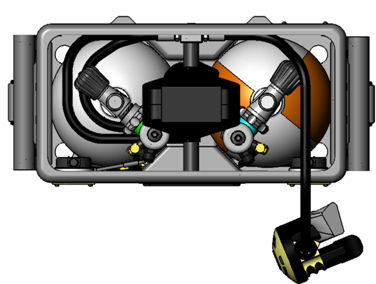 A gas change over valve is located on the face of the XBS allowing the diver to plug in and change gas according to requirement. 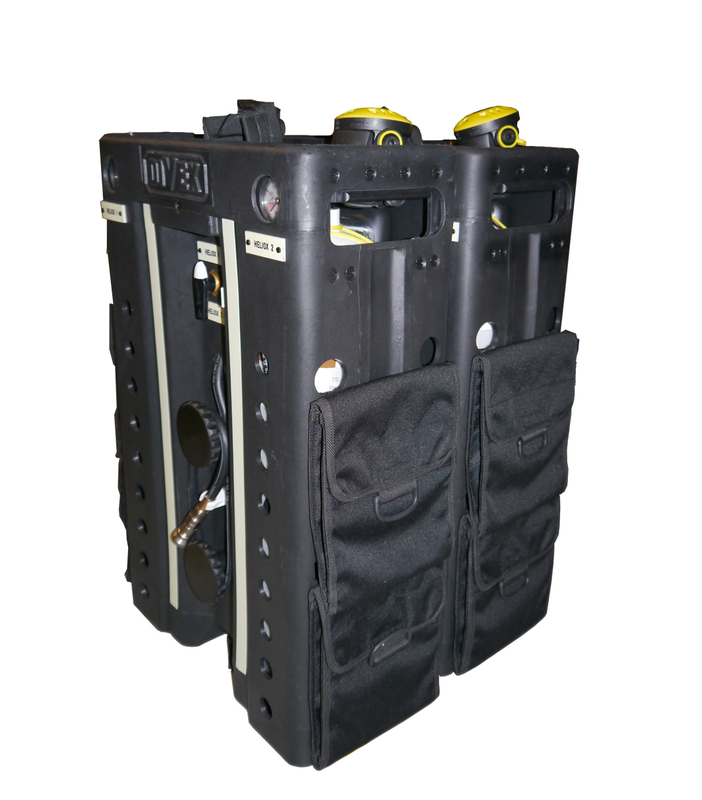 The XBS is housed in a lightweight moulded plastic case containing two 9 litre 300 bar composite cylinders. Each cylinder has an independent shut off valve, contents gauge, first stage reducer and safety relief valve. 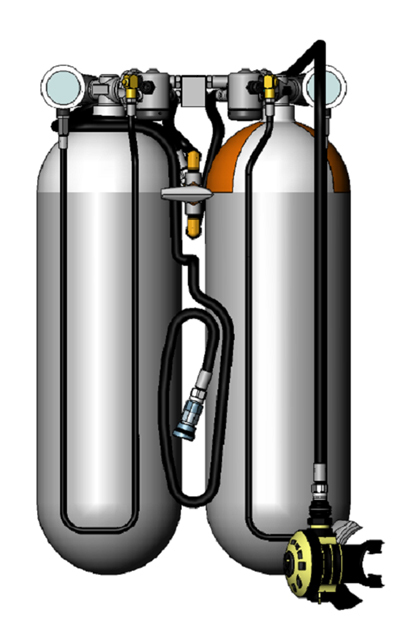 Both first stage reducers supply medium pressure gas to a switch over block enabling the diver to switch between "bottom" mix (air, heliox or trimix) or 100% oxygen to reduce "in-water" decompression. The switch over block contains a quick connection hose for attachment to the Stealth (DMM), plus an emergency breathing second stage demand valve.